CRM Evangelist ‘s implementation packages allows you to begin using Salesforce CPQ™ soon and hit the ground running. And continual improvement of your Quote to Cash process. Save time and money. Relax with professional experience in your corner. 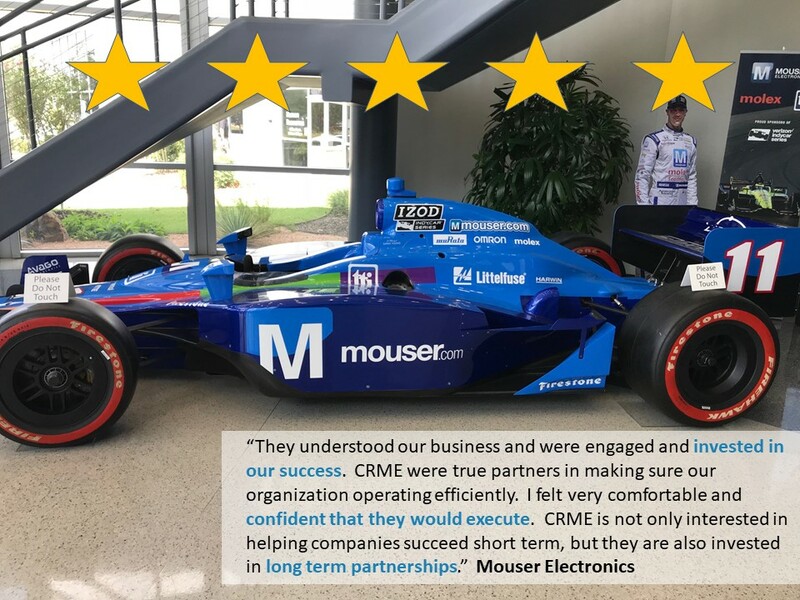 Through our implementation experience, we’ve discovered the best practices to give you a fast return on your investment and lay the groundwork for long-term success, while securing long term adoption and performance with our CRM Peak Performance subscription. 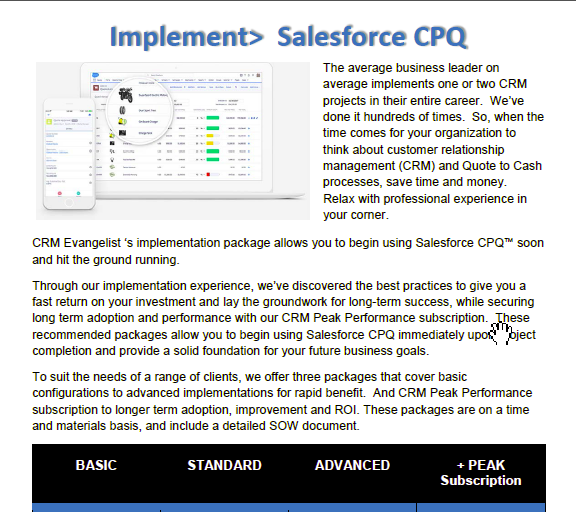 These recommended packages allow you to begin using Salesforce CPQ immediately upon project completion and provide a solid foundation for your future business goals. To suit the needs of a range of clients, we offer three packages that cover basic configurations to advanced implementations for rapid benefit. And CRM Peak Performance subscription for longer term adoption, improvement and ROI. After an assessment and project scoping exercise, your organizations will receive a Best Practices Quote Automation Improvement & Implementation Plan to accelerate will scaling your business. We have delivered hundreds of projects. Contact Us to schedule a personalized assessment. CPQ (configure, price, quote) is a term commonly used for the process leading up to generating a sales proposal for companies offering complex product and service combinations. CPQ software helps companies configure complicated product offerings, price them in such a way that the correct discounting and bundling rules apply to products or sets of products, and create fast, accurate quotes based on that information. CPQ software ideally can bridge the gap between front and back end systems, and take companies from lead to order, or all the way from lead to cash. If you haven’t aligned your CRM to your organization lately, consider an overall CRM Assessment to determine CRM relevancy to your current state of operations. Encourage adoption. 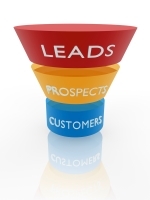 And maximize CRM business value. Get up and running with the most basic Salesforce CPQ. Enable and configure most of the Salesforce CPQ standard features. Enhance the standard configuration with added configurations and features. Get the most out of your CPQ solution with an Advanced CPQ implementation + CRM Peak Performance 6 month subscription to get everything you need from CPQ and your CRM.